I'm not sure of an exact prototype, but there were many cars made like this, basically a truck front end and an old style combine for the rear. The challenge in this installation is that there is quite a distance between the rear truck and the front truck, and there's a lot of lights in the unit. 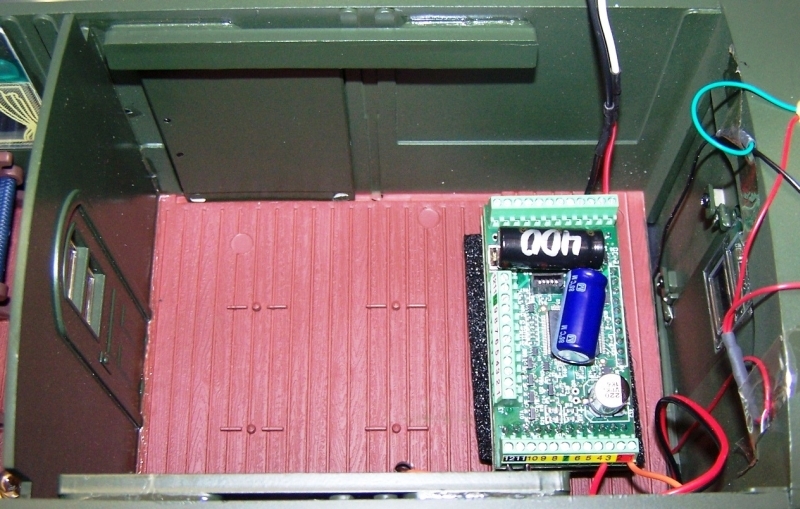 To keep the appearance nice, there is a narrow circuit board under the floor of the bus interior. With the 4 interior lights, the headlight, the 2 marker lights and the smoke unit, there's wires everywhere. 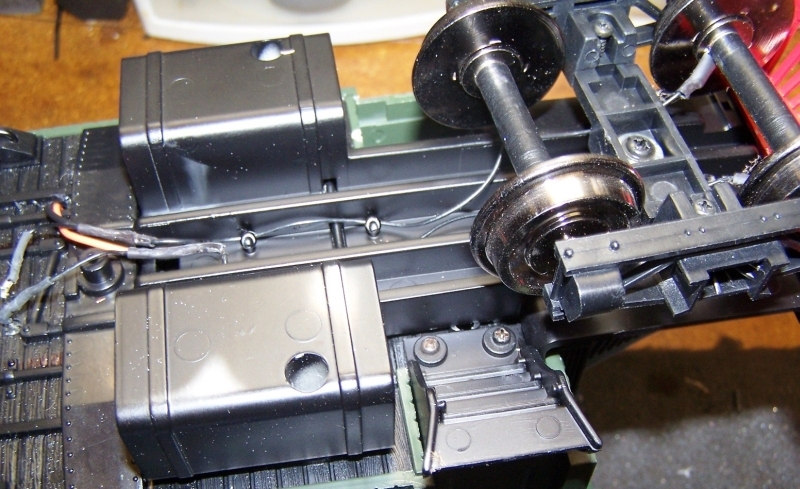 There are 2 connectors to the motor brick. George Schreyer's solution was to disconnect one to isolate the motor, and then pick up track power from 2 contacts on the underside between the 2 fuel tanks. This does leave the lighting on all the time, including the headlight. 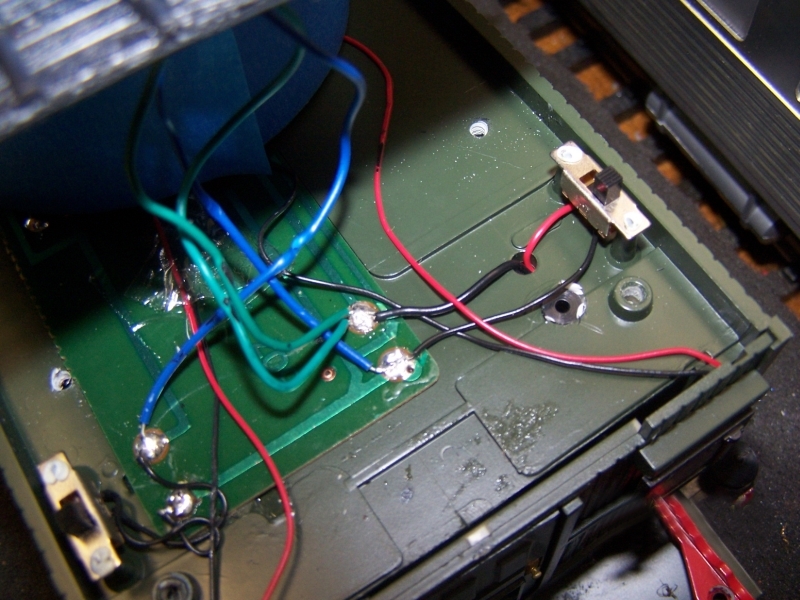 The first thing to do is identify the wires that go to the motor. 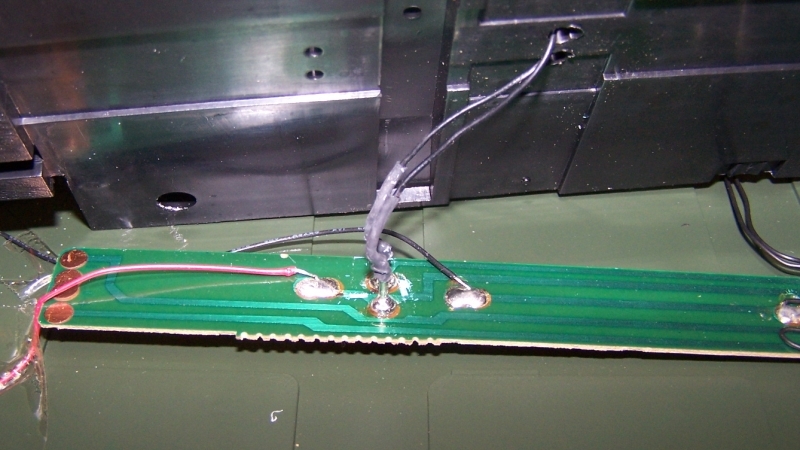 Once the motor wires to the block are identified, it's a good idea to tag them so you don't mix them up. 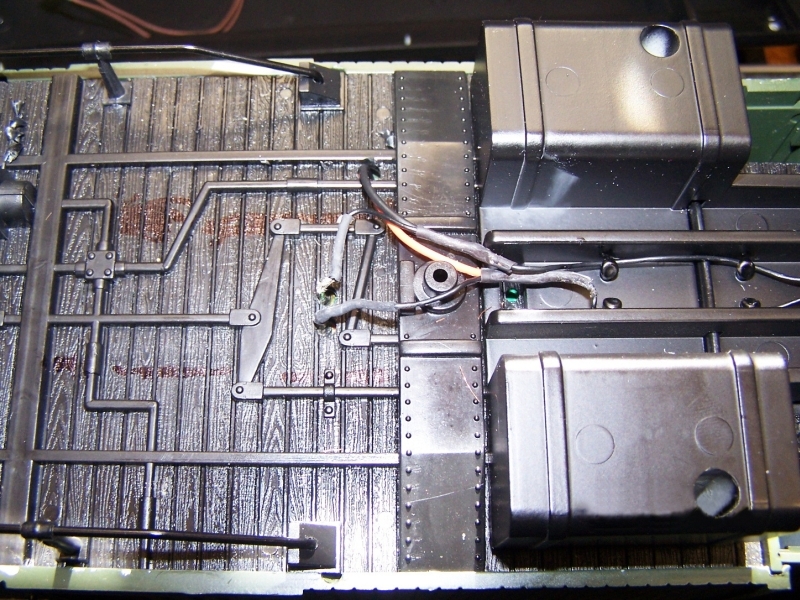 By removing enough screws ,the circuit board can be revealed. In the picture below you can see the end of the car where more wires are attached, as well as the 2 switches for the lights and smoke unit. One completely insane thing is the color coding. 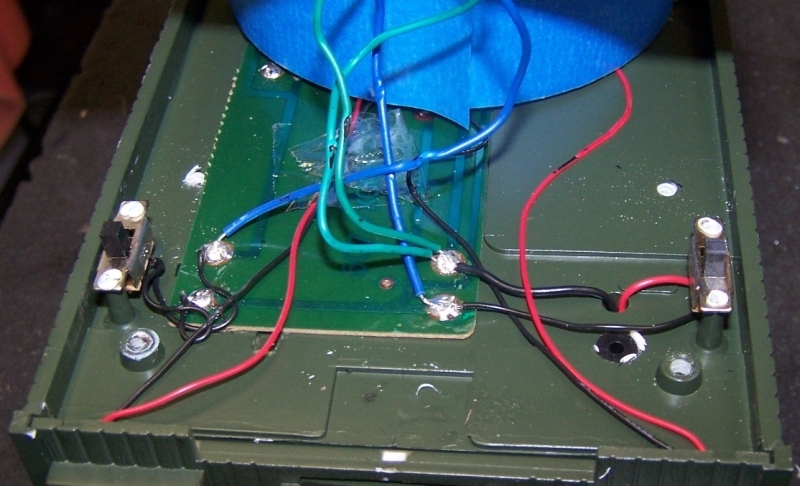 In the near end of the chassis, you see a blue and green wire in one hole, and in the hole below, another blue and green wire. That's right, the motor leads are the same colors as the track pickups. But you already flagged which ones are to the motors, so you won't be confused! 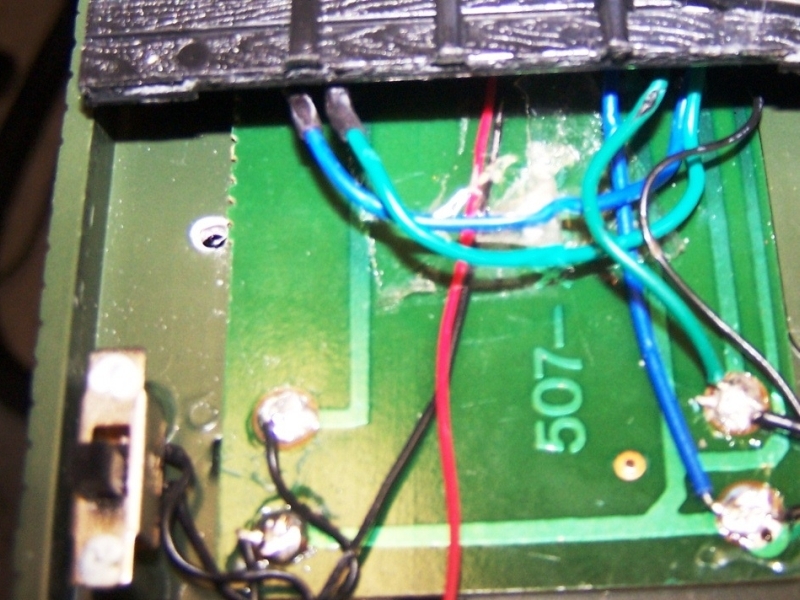 OK, so now we know where the motor wires are, and they are clearly wired right to the track pickups. 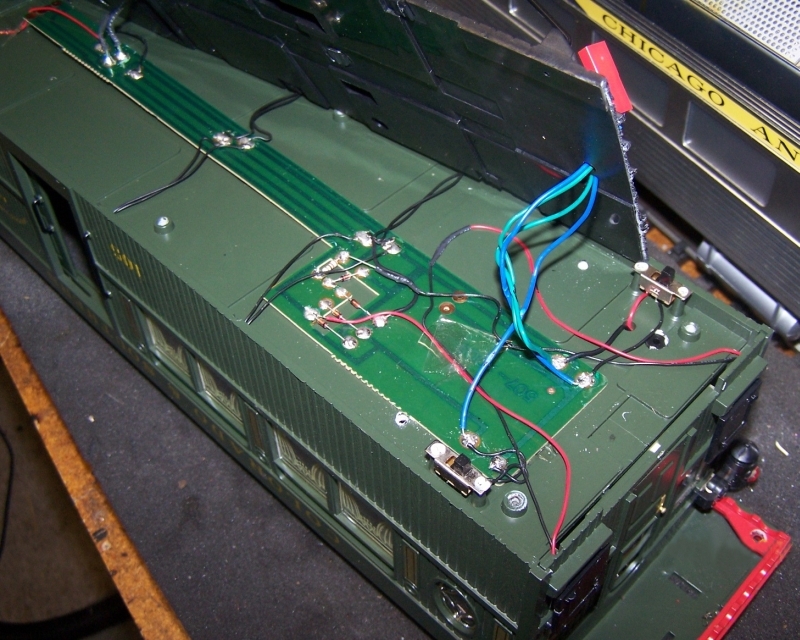 For any decoder installation, you need to separate the track pickups from the motor leads. 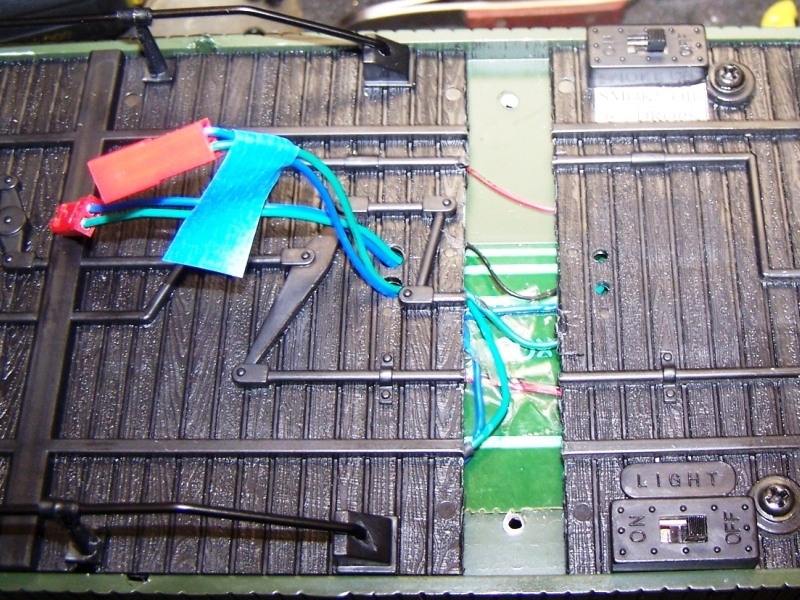 It was deemed easiest to just remove the motor leads, so the existing lighting is still connected to the track pickups. (Later you might want to wire the headlight directly to the decoder. 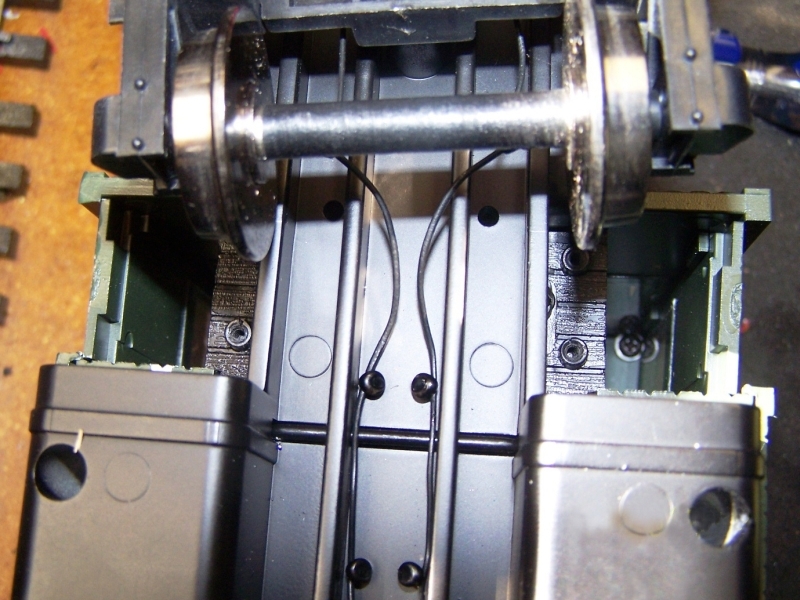 Here's another close in view of the motor and track pickup wires from the motor block. Now that we have extended the motor leads, we turn our attention to the track pickups. In the picture below, you see the end nearest the cab. On the left end you see black wires that come from the edge of the chassis that light the interior. 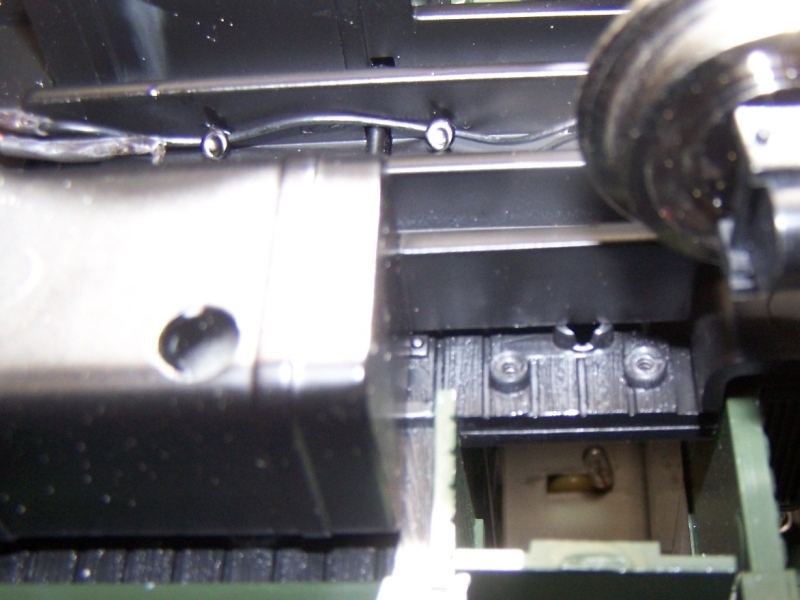 Near the left end, you see 2 wires that go through a hole in the center of the chassis. This disassembly was done to see how things actually connected. 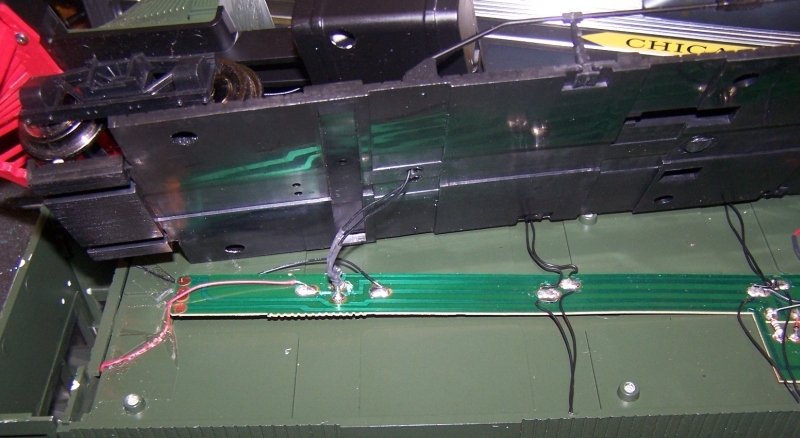 Below you see the wires that come up through the chassis for the track pickups. 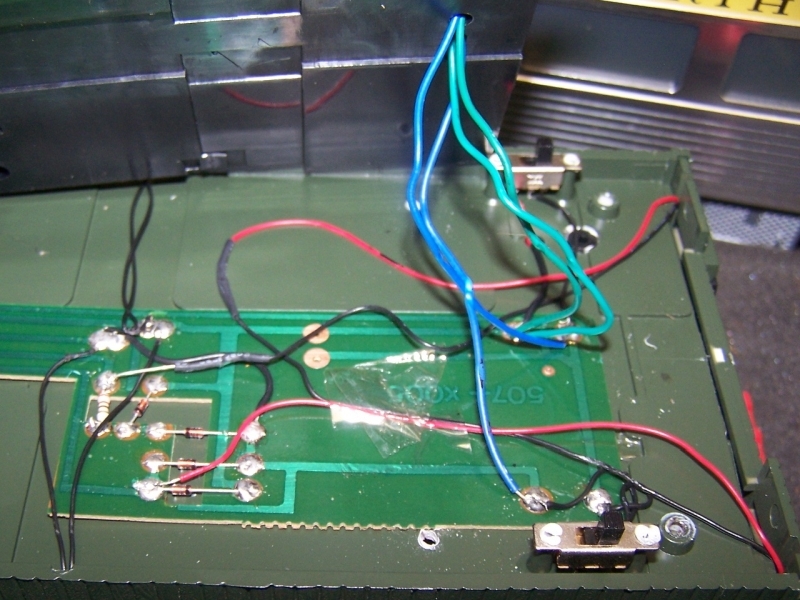 Those wires are the ones that will be used to feed the decoder's track inputs. 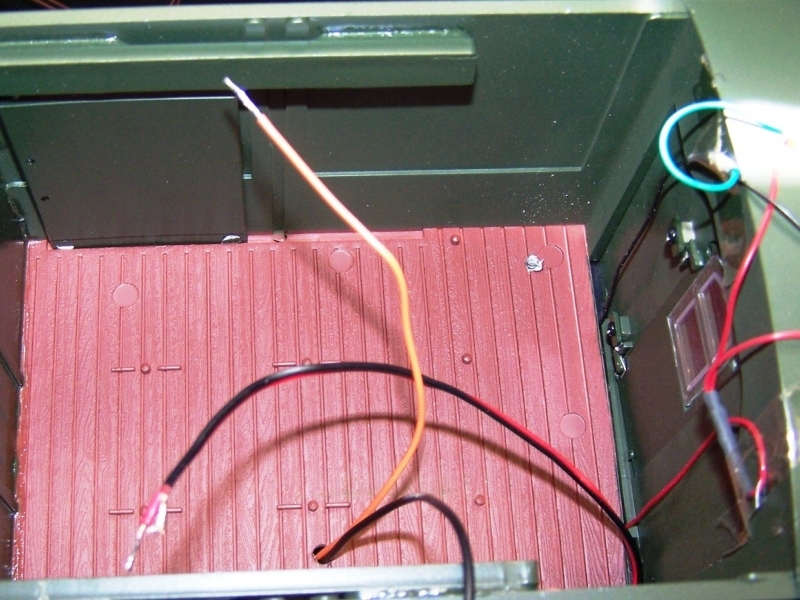 The picture below shows where RJ tapped into the power pickup connections by tapping into those leads and running the wires into the baggage compartment. The picture below shows the decoder situated in the baggage area, it's one of the new QSI Titans. The speaker was mounted up inside the roof to keep it hidden. 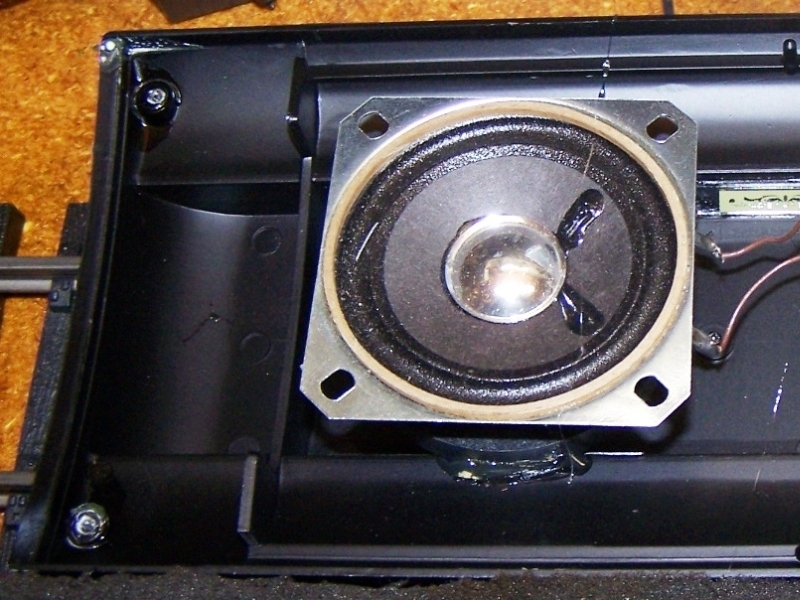 I would recommend some kind of tube to seal around the back side of the speaker.